In the last 2 years I’ve in Chicago 2 times, this March I was once again on a client visit for 2 weeks. Unfortunately, my enthusiasm went away when I got a severe cold, that made me lose my voice completely for the first 3 days and cough my sole out for the next week and a half. 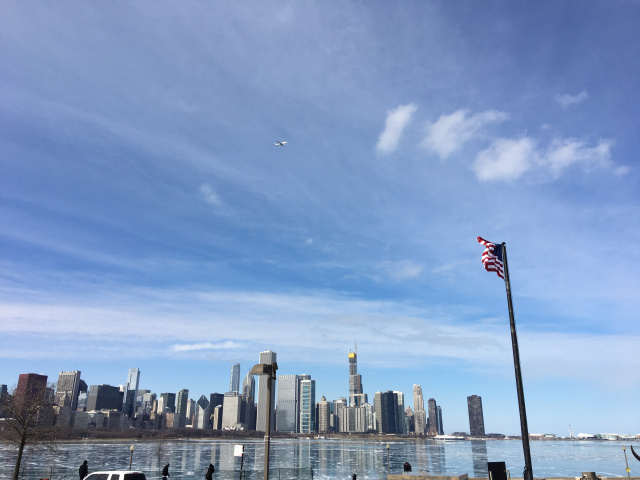 By the end of my trip, I was once again feeling like a human, but I didn’t want this to shadow my time there, so here are the main things I did while I was, again, in the Windy City. If there was one 100% experience that I wanted to have, was going to a game. While in high-school I was in love with basketball and one of my favorite shows ever was One Tree Hill, where, obviously, the main subject was the basketball game. Therefore in the first week there, even if I had no voice and feeling like crap, I went to a Chicago Bulls game. Initially, I thought I was there to see a game of basketball when the show began, I realized that it’s a lot more than that. Every minute you get to see something new, also at the beginning when a girl came onto the stage and sang the national anthem, we were left speechless by the fact that everyone raised up and start singing with her. Since Chicago is famous for it’s Blues music and the live music bars, I couldn’t leave the city the 3rd time without going to one. Since Blue Chicago was across the street from the hotel I was staying in. I have to admit that I hate myself for not going to this type of show last time I was in the city, it was amazing. The voice of the singer was great and also hearing the band play. Highly recommend the bar if you find yourself in Chicago, they have shows every night and the bands rotate. I’ve heard about the river being painted for St Patrick’s but never did I thought that it would be such a huge celebration. Unfortunately, I was leaving on Saturday, so I didn’t get the chance to go to the parties, but at least I got the chance to see the river getting painted and it’s indeed an extraordinary experience. The radioactive green makes the city a huge attraction for a lot of people. the downside of this was having to miss three subways until there was enough room to get in.